Do you get annoyed and upset by the constant loud slamming of the toilet seat? 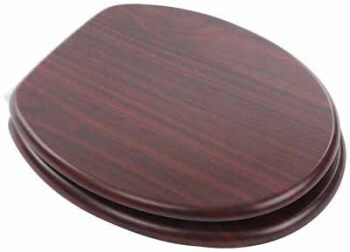 Do you get awoken in the middle of the night by family members lifting and closing / dropping the toilet seat? If the answer is yes then we have the perfect solution for you. 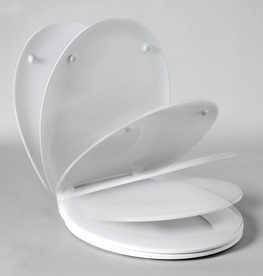 The Soft-Close Toilet Seat solves this problem as well as offering many other benefits. Firstly, thanks to its unique closing mechanism, this type of toilet seat always closes softly and quietly, no matter how clumsy you are. Secondly, by avoiding the forceful closing of the toilet seat you can prevent damage to your toilet bowl. Repeated strikes from falling seats can weaken and crack the toilet bowl, leading to the need to replace it. This can be a costly and inconvenient process. Finally, Soft-Close toilet seats have been proven to be much more hygenic than traditional seats, as it can be closed with just one finger, rather than the needing to hold the seat / lid on your hand to avoid slamming. Replacement Toilet Seats has a wide range of soft-Close seats available in both plastic and wood, and installing your new seat is as easy as replacing a set of screws. Sta-Tite Bemis Universal Toilet Seat with Chrome plate hinge.